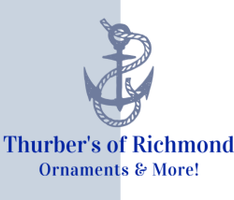 Thurber’s of Richmond is a family owned and operated business. Our family has been in the silver business for over 100 years. If you are thinking about selling your ornament collection, sterling flatware or sterling hollowware pieces, please contact us for a no obligation quote. We will give you a fair quote based on the current market value, not the scrap prices that others quote. We do not melt silver or ornaments as we appreciate that many pieces have exceptional value beyond simple silver weight. We will do everything we can to ensure the process is simple and without surprises. We will make an offer without requiring you to ship your silver to us first. You are under no obligation to accept our quote and you can be assured of getting top dollar from us. Simply use the form below and list each item individually. Make sure to note if ornaments come with original boxes, pouches and/or brochures. Also note any damage beyond regular wear and tear (dents, bends, etc). Keep in mind we only buy non-engraved pieces. One of our silver representatives will contact you shortly. If you approve of the quote, please let us know and we will provide shipping instructions. If the pieces are as described, we typically send payment within 48 hours of receipt via company check.